MeteoStick - Davis-compatible receiver in a USB key! Welcome to weatherstations.co.uk – the UK’s leading Davis dealer. Buy with confidence from genuine experts – having specialised in Davis stations for 20 years, no-one knows the extensive Davis product range better. Shop now or, for advice, email or phone! This site covers all aspects of running a weather station for commercial, education or club use, or simply for personal interest. There’s unrivalled, plain-English advice here for everyone interested in buying a serious but cost-effective automatic weather station to measure & to log live weather conditions. You will also find technical help on linking to PCs for data logging and analysis, and on creating your own live weather-reporting website. 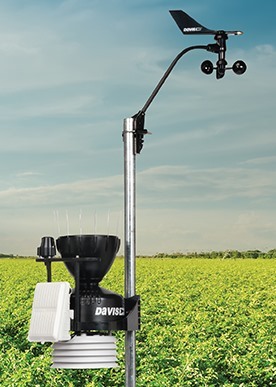 Prodata Weather Systems is a specialist supplier of weather stations & creator of the Davis knowledgebase used as an authoritative support resource worldwide. We offer genuine expertise, highly competitive pricing and a commitment to the best possible service. Detailed descriptions of the stations & accessories are on the main Products menu. Linking a weather station to a PC or to the Internet is a key feature of modern weather stations; this is usually simple to do but there are several options as explained on our Data Loggers introductory page. For general buying advice, choose from the guides below or see our main Advice menu. Visit our separate, secure Online Shop to place your order. Do phone (0333 666 4175) or email us with any questions – we’ll be delighted to hear from you and will do our best to respond promptly. Please see our Request More Information page for details of how to access more information about any products, including a download link for the official 2019 Davis catalogue.